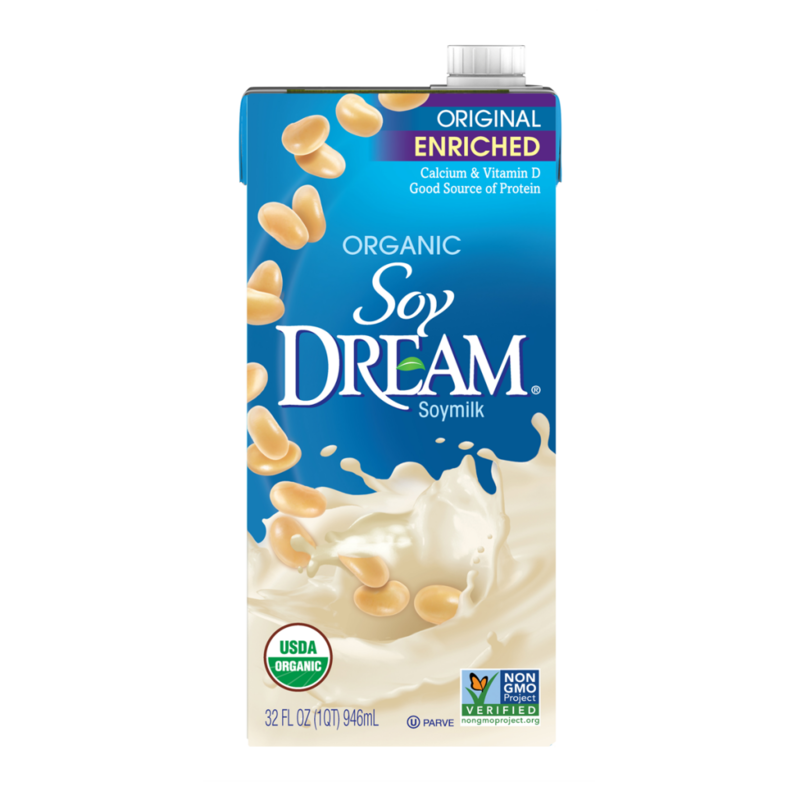 Wholesome and delicious Soy DREAM™ Enriched Original Organic Soymilk is the ideal plant-based alternative to dairy. This certified organic soymilk delivers 7 grams of non-GMO soy protein and as much calcium as cow’s milk. 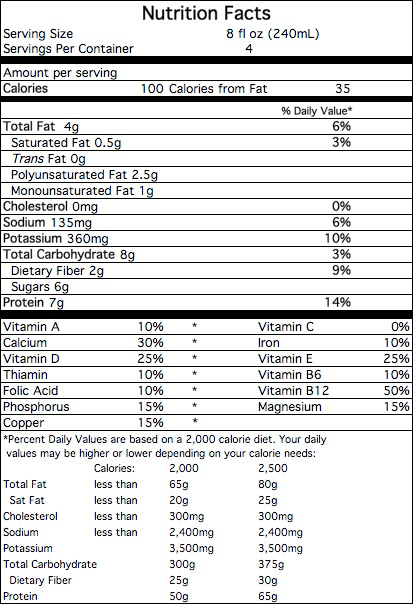 * It’s also enriched with vitamins B12, D & E. Try it on cereal, in your favorite recipe or simply by the cold and refreshing glassful. FILTERED WATER, ORGANIC WHOLE SOYBEANS, ORGANIC EVAPORATED CANE SYRUP, CALCIUM CARBONATE, SEA SALT, CARRAGEENAN, VITAMIN E (D-ALPHA TOCOPHERYL ACETATE), VITAMIN A PALMITATE, VITAMIN D2, VITAMIN B12.